One hundred years ago, Massachusetts became the eighth state to ratify the 19th Amendment, but the fight to advance women’s rights had actually started some seventy years before. 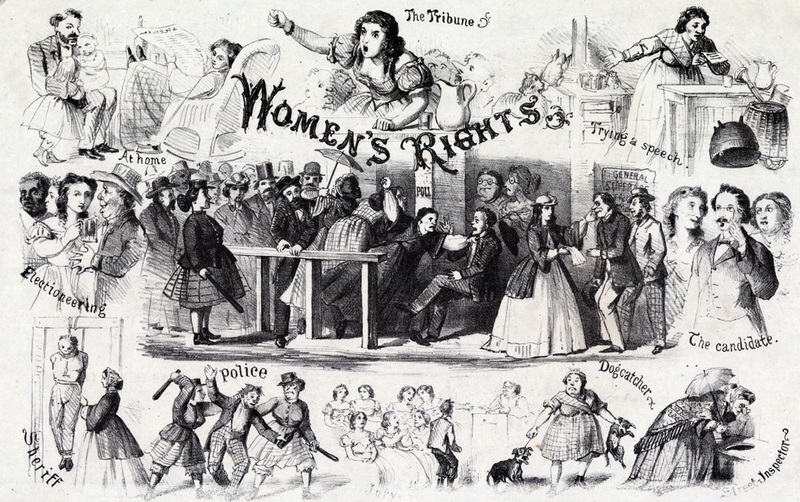 In this Hands-On History Workshop, participants will explore the early years of the women’s movement, from the late-1840s through the post-Civil War era. 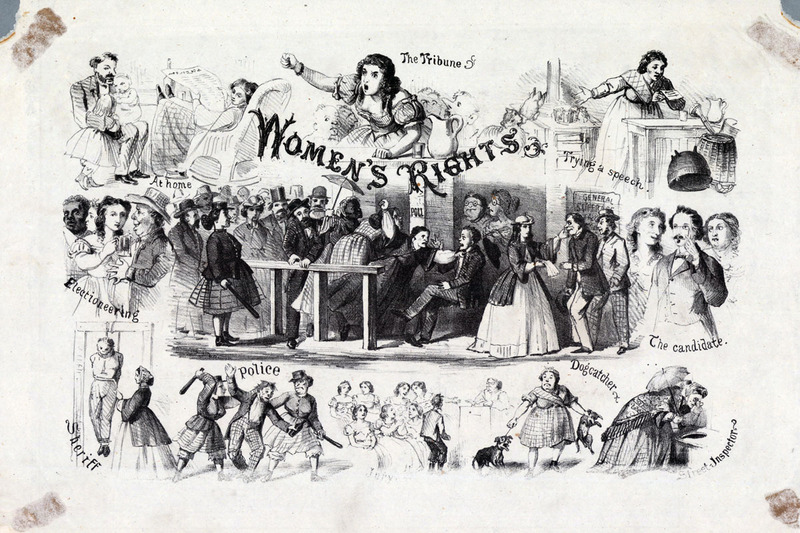 As women's rights advocates gained momentum, so did opponents. While the era's cartoons mocked the reformers, suffragists developed a visual campaign to represent themselves as political leaders. 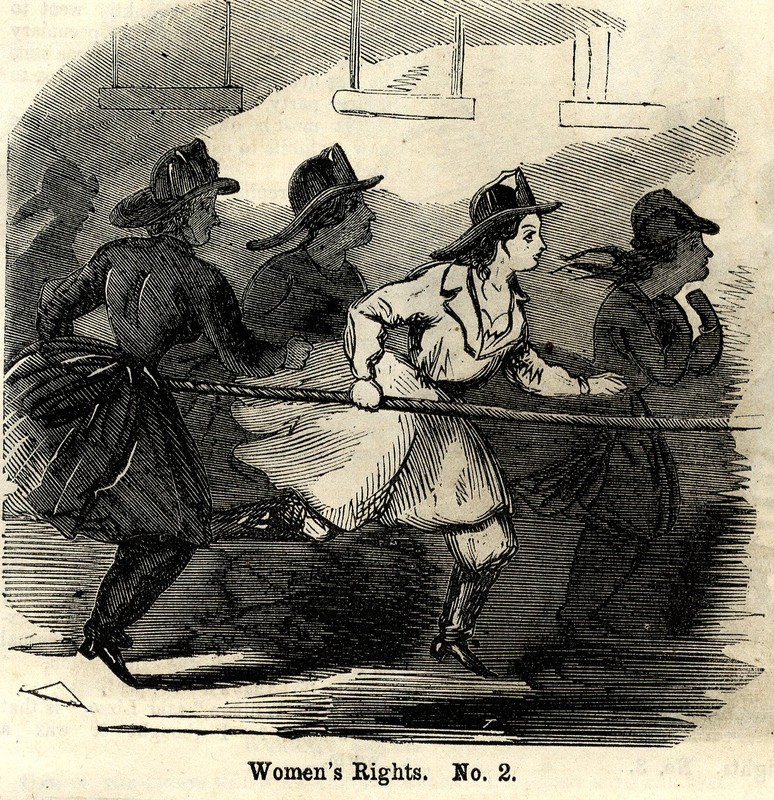 This workshop will touch on the first women’s rights conventions (including the first two national conventions, which took place in Worcester), the formation of formal organizations to promote the cause, and the focus on gaining woman suffrage in the years following the Civil War. 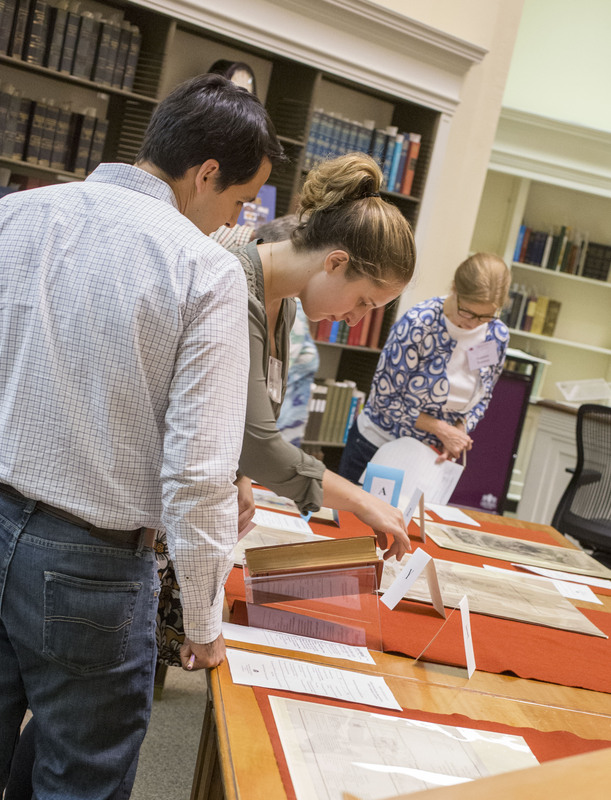 Using original items from the collection, participants will examine the wide variety of printed material surrounding the movement, with special attention paid to the fascinating array of visual sources that both bolstered and lambasted the cause. The guest scholar for the workshop will be Allison K. Lange, assistant professor of history at the Wentworth Institute of Technology. She received her Ph.D. in history from Brandeis University and studies the long nineteenth century with an interest in gender, power, and visual culture in the United States. Various institutions have supported her work, including the National Endowment for the Humanities, the Andrew W. Mellon Foundation, and the Library of Congress, and she was a fellow at the American Antiquarian Society during the 2011–12 academic year. Lange’s writing has appeared in Imprint, The Atlantic, and The Washington Post. She also consults and works as a guest curator with Harvard’s Schlesinger Library on the History of Women in America, the Massachusetts Historical Society, and the Boston Public Library’s Leventhal Map Center. Lange is currently completing a manuscript called Picturing Political Power: Images and the Fight for Women’s Votes in the United States, under contract with The University of Chicago Press, on the ways that woman’s rights activists and their opponents used images to define gender and power during the US woman suffrage movement.